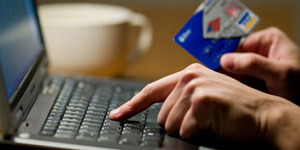 You can pay your Council Tax or Business Rates online. If you have a touch-tone telephone, you can pay via our automatic interactive voice recognition (IVR) telephone service. Just dial the local rate number 0345 2307 709. You will need your account details and a valid debit or credit card ready. We accept most major cards. or complete a paper form which is available from the Council offices. If using a paper form it MUST be returned to Tamworth Borough Council. DO NOT send it direct to your bank. If there is an amendment to your account, you will be notified of the amount that we are requesting in payment before any money is taken from your bank account. There is a very rigid code of practice that must be followed by both the bank and the party requesting payment by direct debit, for this reason it is seen as the best method of payment by many Council Tax payers. We no longer operate a cash office service or kiosk at Marmion House or at other offices. If you wish to pay by cheque, a deposit box is available at Tamworth Borough Council Marmion House, Lichfield Street, Tamworth B79 7BZ during the normal office opening hours. Post dated cheques are not accepted. Cheques should be made payable to Tamworth Borough Council and crossed A/C payee. By cash or by cheque. Post dated cheques are not accepted. Please take the bill to any bank. Some banks may charge a fee. Please make the cheque payable to "Tamworth Borough Council". Quote your Council Tax account number, the Council's bank: Lloyds Bank Plc, sort code 30-98-44 and account number 01970355. These details may also be used to set up a Standing Order from your bank. You can pay by cash only at PayPoint outlets or by cash, debit card or cheque at the Post Office. If you pay by cheque at the Post Office, please make the cheque out to "Post Office Limited". If you wish to pay by swipe card, please call 01827 709530 to order one. If your card is lost, damaged or stolen, please contact us on 01827 709530 to arrange for a replacement. A charge may be made for replacement cards.